I was dropped off at the base of the ski lifts for Mt. Baldy Ski resort as the sun was rising over a gorgeous day in May of 2012. 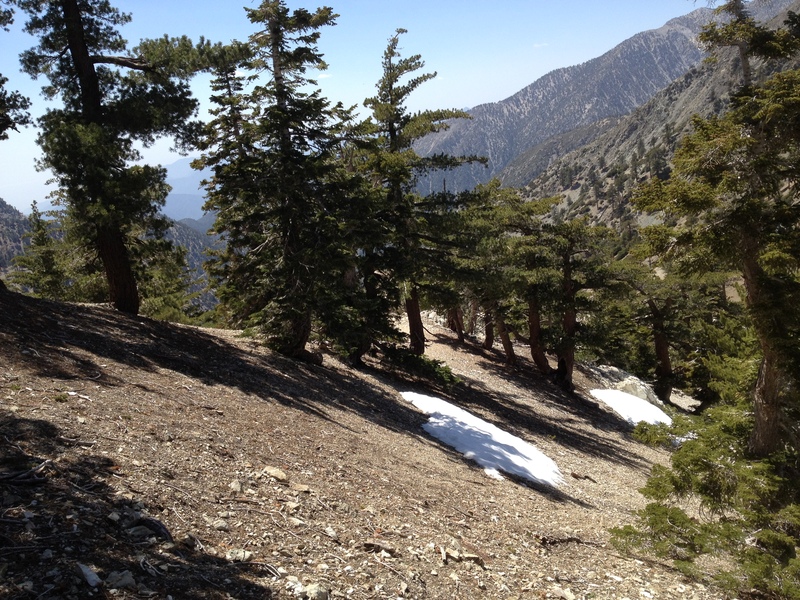 It happened to be a shuttle hike approximately 17.5 miles end to end in the Cucamonga Wilderness of the Angeles National Forest; another solo hike… I hope I’ll be able to find this little thing! 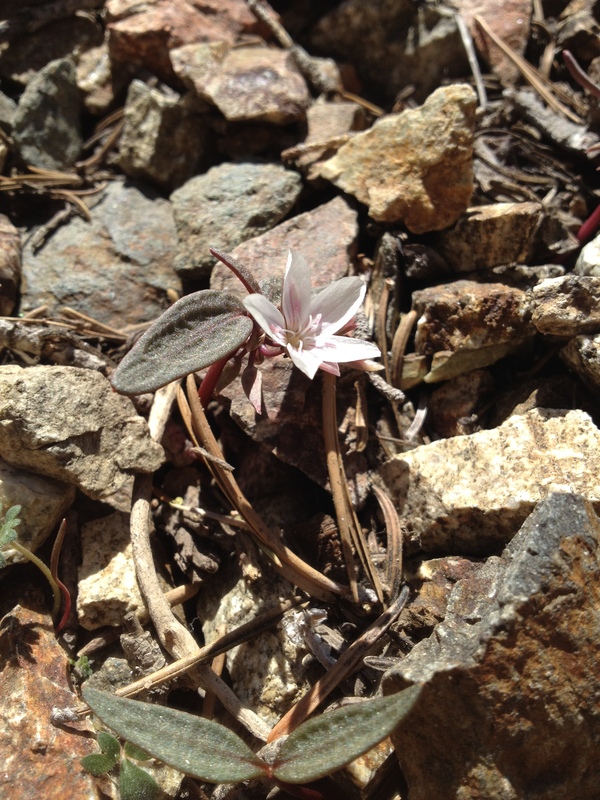 I climbed up as quickly as I could towards the ski runs under Thunder Mountain, where what was once treated as Claytonia lanceolata var. peirsonii is reported from the steep, forested ridges between the runs. 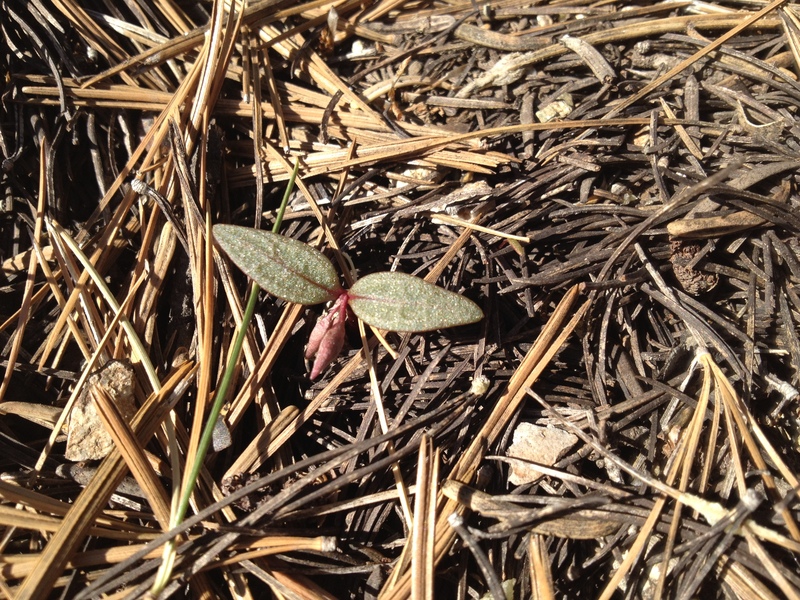 I hadn’t seen these plants in the San Gabriel Mountains just yet, but by this time I had stumbled across a Claytonia in the San Bernardino Mountains two years prior that answered to the rather vague description of this taxon (var. peirsonii) while working for the USDA Forest Service. That’s it! 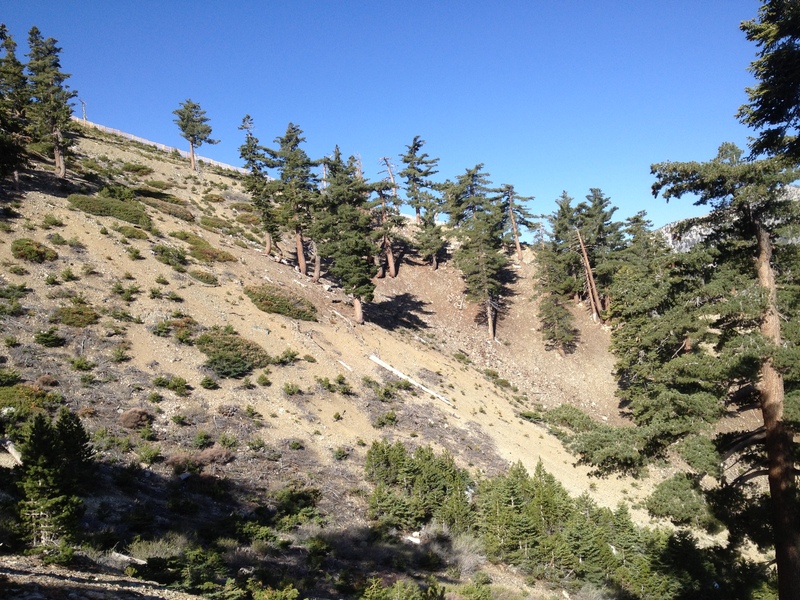 North-facing slopes! It can be found blooming next to melting patches of snow in areas where there is also heavy accumulation of conifer litter, often with associated species such as Pinus lambertiana, Abies concolor, Pyrola dentata and Fritillaria pinetorum. I don’t see any snow over there, but it fits the bill otherwise! OK, not quite flowering, but it’ll do. 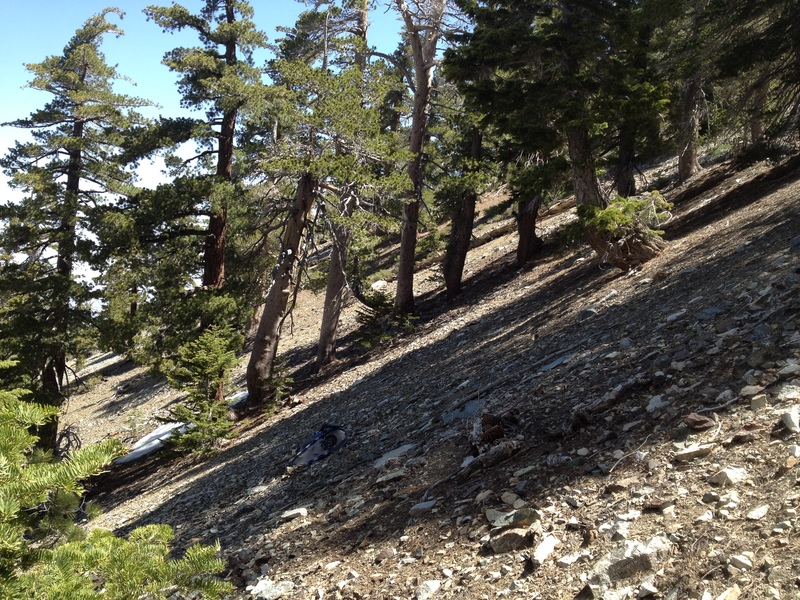 I’ve got two more peaks to ‘bag’ before this day is done if I am to see more Claytonia on this hike. I set off toward Telegraph Peak, where I had to shimmy a bit off trail right over the edge of the north slope down to another historically collected locality for this rare local endemic. What a beauty! Spring Beauty that is… now I just had to get back up to the top of Telegraph to grab the trail over toward Timber Mountain to complete the ‘Three T’s Hike’ I’ve heard so much about. The north slope of Timber Mountain seemed to be the most ‘typical’ habitat based upon reports for Claytonia lanceolata var. 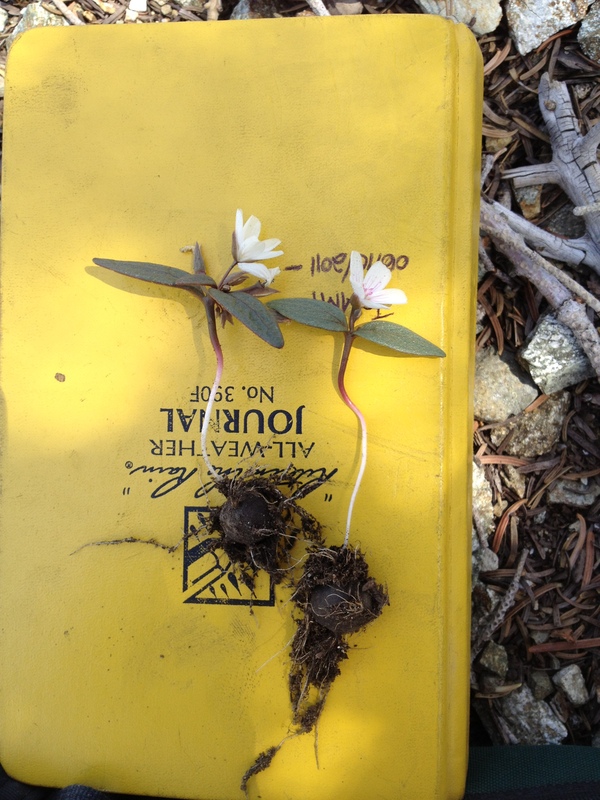 peirsonii, with persistent snow patches as I had just seen over at Telegraph Peak. Sure enough, I was not disappointed by the beauties there! I made it down to the trailhead around 6pm at Ice House Canyon, where my car had been hanging out all day waiting to hear the news about my big adventure.